Shelby Jean Bastin Burton Abner, age 82, of Franklin, Indiana, formerly of Lincoln County, Kentucky, went home to be with the Lord and Savior, where no more pains and suffering will be on Wednesday, April 10, 2019 at the Franklin Masonic Home in Franklin, Indiana, to see her beautiful family who has gone on before. She was born Thursday, October 29, 1936, in New Salem, Kentucky, to the late James & Lula Reed Bastin. Shelby retired from RCA after 30 years of service. She was a member of Smith Valley Baptist Church in Greenwood, Indiana. Shelby Jean will be remembered by lots of friends and loved ones. Shelby Jean married the late Robert Lee Burton, they had one beautiful son, whom she loved and cherished; the late Joseph K. Burton, two grandsons, Joseph Lee and Jason Robert; and two great granddaughters, Olivia and Hailey. She loved and cherished them dearly. After Robert’s passing, Shelby Jean then married the late Virgil L. Abner and has three step-children; Michael, Carol and Debbie. 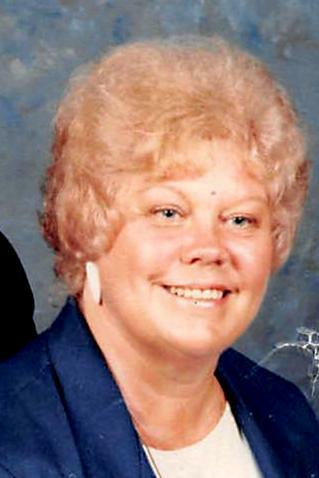 In addition to her grandchildren, great-grandchildren, and step-children, Shelby Jean leaves behind one sister, Fay Bastin Eakle of Ninevah, Indiana; one brother, Kennely Bastin of Franklin, Indiana; and many nieces, nephews and other extended family and friends who mourn her passing. In addition to her parents and two husbands, Shelby Jean was preceded in death by her three brothers, Roscoe, Carlos and William Bastin; and two sisters, Lela Bastin Oliver and Frances Bastin Watson. A Funeral Service will be held 3:00PM Sunday, April 14, 2019 at New Salem Baptist Church with Bro. Greg Lockard officiating the service. Burial will follow in New Salem Cemetery. David Bastin, Shane Bastin, Michael C. Bastin, Kent Ellis, Scott Ellis, and Chris Bastin will serve as Active Pallbearers. Visitations will be held 5-8PM Saturday, April 13, 2019 at Fox & Friend Funeral Home and 1:30-3PM Sunday at the church. Fox & Friend Funeral Home, Stanford, KY, is entrusted with Shelby Jean’s arrangements. Guest Book at www.friendfuneralhomes.com.